Jeff Thomas has been setting off explosives in the Bay Area since 1974. 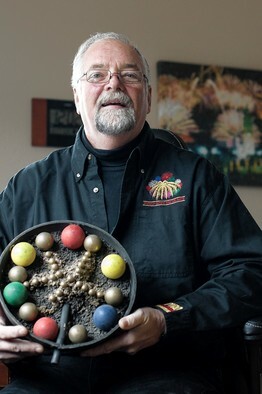 Don’t worry: He runs Bay Area operations for Pyro Spectaculars Inc., a major producer of fireworks displays. Mr. Thomas coordinates fireworks in many communities, including for San Francisco’s Independence Day and New Year’s Eve celebrations. In recent years, he also has put together shows for the San Francisco 49ers, Oakland Raiders, Oakland Athletics and San Francisco Giants. When major-league baseball slugger Barry Bonds hit his record-breaking home run for the Giants in 2007, Mr. Thomas had a fireworks celebration ready to go. “We sat for a week and a half waiting for him,” says Mr. Thomas, 59 years old. 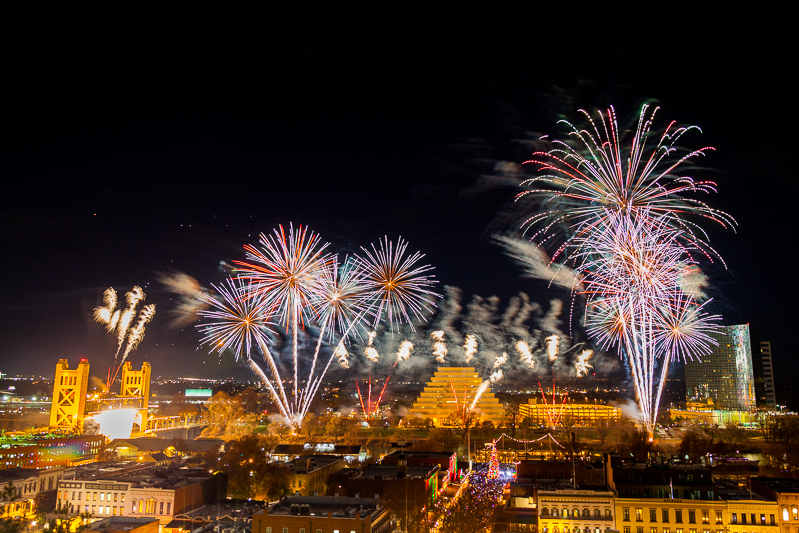 With New Year’s Eve approaching, Mr. Thomas discussed his favorite fireworks displays, the best places to watch the shows and the San Francisco area’s omnipresent challenge—the fog. WSJ: How have fireworks changed since you started? Mr. Thomas: There are brighter reds, brighter blues and stronger golds. There is now orange and pink and aqua and magenta. The patterns in the sky have gotten more creative. I like the big, long duration, gold, glittery type effects. The products themselves have gotten more reliable. We have a database now that we didn’t have 25 years ago with video of each shell, so if you forget what something does you can go back and revisit the video. Each show is different, each venue is different. Sometimes the New Year’s show, I can use 10-inch shells because we’re launching the show out in the water, where there’s no spectators or buildings. That’s pretty rare. That’s [the size of] a basketball. Usually [shells are in] the five-inch to six-inch range. The five-inch goes 500 feet in the air before it explodes, the 10 inch goes 1,000 feet in the air before it explodes. A 10-inch shell might go to 2,500 feet across the sky, whereas a five-inch might only go 1,000 feet across the sky. WSJ: How is the audience on New Year’s? Mr. Thomas: On Fourth of July at 10 in the morning, people are starting to spread their blankets out. New Year’s, they’ll come out 10 or 15 minutes before. They enjoy the show, they raise a glass, they cheer one another, and then they’re gone. It’s weird. WSJ: You did the Golden Gate Bridge 75th birthday (in May 2012), right? Mr. Thomas: Yes, we did. Having a structure such as the Golden Gate Bridge to droop and drip and shoot things off of is pretty amazing. We got permission to work on, under and on top of the bridge. We were on the bridge for two weeks and we had a couple opportunities to close some lanes to get some work done. We suspended a [fireworks] waterfall underneath the bridge and we had to use a moving scaffold that rolls underneath the bridge. It’s 75 years old, and you don’t move it real fast. And it breaks. WSJ: Were you concerned it would be too foggy to see the fireworks? Mr. Thomas: We can’t get caught up in that kind of stuff. But when you work in the San Francisco Bay area, it’s a reality. There were discussions that it was going to be foggy that night, and it ended up being crystal clear. WSJ: Have you ever had a show fogged out? Mr. Thomas: Yes, San Francisco Fourth of July, six or seven years ago. We still fired it, but nobody could see it. Usually when it’s foggy you can see some colored flashes. This one particular year you couldn’t see anything. We were making noise, but our part of the production just wasn’t as exciting as we’d hoped it’d be. But again, there’s nothing you can do about that. We just hope that it doesn’t happen. Sometimes there’ll be a little fog and the higher ones get a little obscured. We plan for that. We shoot a variety of different altitudes because if it’s foggy you lose all of [the high ones]. We do that for most all San Francisco shows. WSJ: Where is best place to watch either the Fourth of July or the New Year’s show? Mr. Thomas: I would say an elevated area for the Fourth of July. We have two locations: One’s over Aquatic Park and the other is on a barge adjacent to Pier 39. So, if you’re a little bit up and can see both of those venues because they’re happening simultaneously and it just makes the show bigger. For New Year’s you’ve got to be at the Embarcadero. We’ll have two barges tied together out in front of and a little bit south of the Ferry Building. We’re about 1,000 feet off the water for safety purposes. We want to make sure that anything that’s fired doesn’t land on the street. WSJ: What should people look for during the New Year’s Eve show? Mr. Thomas: There’s a happy face and there’s some pattern shells that are really cool, hearts and stars. This particular show for New Year’s is 15 minutes long, but all heck breaks loose in the last 45 seconds to a minute. I don’t have the exact number, but let’s just say there are 1,000 shells that are going to go up and explode in the sky, and there’s probably another 2,000 or 3,000 that are going to be performed at a lower level. A quarter of that is probably going to happen at the end.